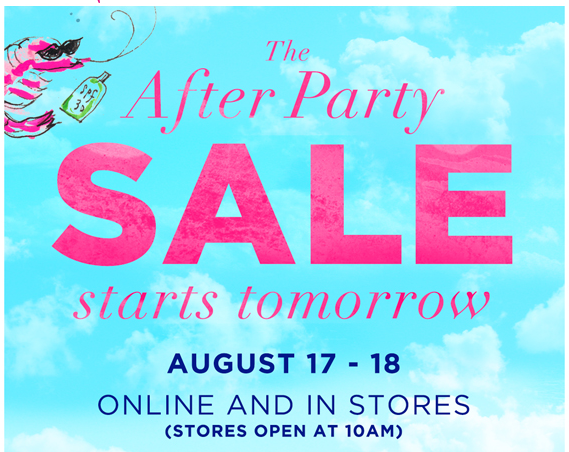 Lilly Pulitzer After Party Sale 2015 - FAQ - New Rules! The best email of the year made it to my inbox this morning! If you're a Lilly lover than you are super excited and getting prepped for tomorrow. Last year I wrote these tips for the sale, but Lilly is changing up the game in what seems to be an attempt at making the sale more enjoyable for more people. How are they different, you ask? 1. They tried the virtual line thing last year, which worked pretty well and caused fewer crashes on the site from what I could tell. 2. Items in your cart have never been reserved, so that isn't new news either. 3. 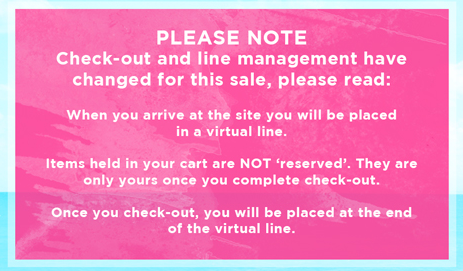 You will be placed at the end of the "line" after you check out. This is new and a bit of a game changer. Now you will have to shop faster than ever because you can no longer check out after each item. Well you can but you'll go back to the end of the line so that method is not advised any more if you ask me. So how can you be successful during the sale? 1. Go on today/tonight and set up your account complete with payment information. You could be loosing items while you set up your account if you wait until tomorrow! No good! 2. Know what you want. Browsing is not a great idea during the sale. During my first sale I didn't buy the first thing I liked and by the time I went back to it, it was gone. 3. Prioritize. A romper is number one on my wish list so I'll be looking for that first. See below for other wish list items of mine! 4. Balance. This is new "advice" due to the rule change. You have to balance your time now. You don't want to check out after every item or you'll constantly be stuck in the "line", but you also don't want to add everything to your cart and then check out or you'll likely loose out on something. You'll just have to decide how important certain things are, for example I may check out right away if I snag a romper but then take my time and add a few things to my cart when I get in the sale a second time. Sounds pretty crazy, what if I'm not up for it? The sale lasts for two days and only the first morning will be cray-cray. If you don't have an intense want for something specific, I'd suggest waiting until tomorrow afternoon. You might miss out on the "holy grails" but you'll be able to get into the site no problem and have a more relaxed experience. Let me know if you have any other questions! Get excited!! Sounds like a fun, but intense sale. I'll probably wait until tomorrow afternoon. Actually, I may check the site right now to see if there's anything I must have. Thanks for all the tips. Well good luck! Hope you find something you love!